Back to playing with fabrics today. 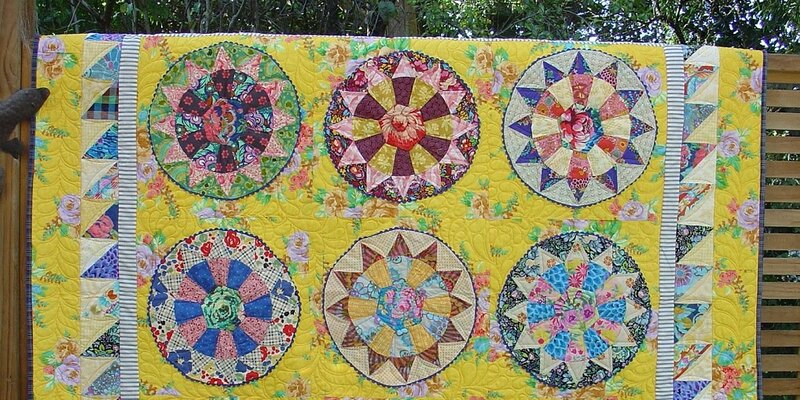 something between Cathy's 'sunflowers' here and Judy Newman's 'sugar plum' quilt here. Yep, I think this might work . . .
and follow a whim, yes? Can you spot it too? et voilà . . . I used the free 'moda love quilt' pattern from Moda, there are instructions for a minicharm, charm, and layer cake quilts, see here for links. I selected a few pink and gold fabrics that I had slowly been collecting over the past few months and teamed them up with assorted neutrals from my stash. I started out thinking it’ll be interesting making a large scaled up design, I don't think I've ever made a really big one block quilt like this before. My finished quilt top is 72" x 72" and I suspect my daughter will love this one! The fabrics show up nicely . . . the quilt is relatively easy to piece . . . and oh my, did I enjoy zapping down this rabbit hole. First up, a few recent additions to my stash . . .
And, over the past few months, I've been slowly collecting these new assorted pinks & golds, mainly fat 1/4's and an occasional 1/2 metre piece. I gathered them all up today to see how they would look, all together, for maybe another scrappy quilt? Maybe the free Moda pattern moda love quilt? Everyone has a different definition of a scrap. However, it got me wondering, is it still considered a 'scrappy quilt' if I bought all the fabrics that I think I might use for a particular quilt? I'm pretty sure that once I cut up a variety of these prints, add in a few more low volumes, and put it all back together again, it will look very scrappy. What do you think? My 'carolina chain' quilt top is almost finished. This happy scrappy quilt is made using a pattern from Bonnie Hunter at Quiltville, here's the link- carolina chain quilt. At the end of last year I was halfway, and after a little break, I was back raiding my overflowing scrappy strip basket to make up more of these little tiny 5" blocks again. Today's show & tell is a few progress photos. One more group done, onto the next . . . Checking things out on the 'design floor' . . .
four more blocks . . .
and pressing as I go today . . .
on the last stretch now . . .
What's this I hear you ask? I started out this year thinking I would try and improve my 'start : finish' ratio. And the photo above is what I'm calling a 'cluster of quilts'. Which in reality = a group of unfinished quilts. Which brings me to wondering lately what others do about quilting. I don't know about you, but I find free motion quilting challenging. I do try from time to time, but have never been happy with my efforts. So like many, I resort to functional straight line quilting on most of my quilts. Lately I've been combining quilting techniques in the same quilt, a little big stitch hand quilting to highlight certain areas and keep things interesting. Hand quilting everything does take time, but it is such a relaxing meditative part of making a quilt, so I do try to have at least one project in-the-hoop. I always melt just a little when I see a totally hand quilted quilt, very special. So I guess it comes down to personal choice . . . hand quilting . . . machine quilting yourself . . . or sending your quilt out to a professional quilter, some call this quilting by visacard! I have sent some of my quilts out to be professionally quilted over the past few years, usually ones that are quite big, and I have always been very happy with the results. 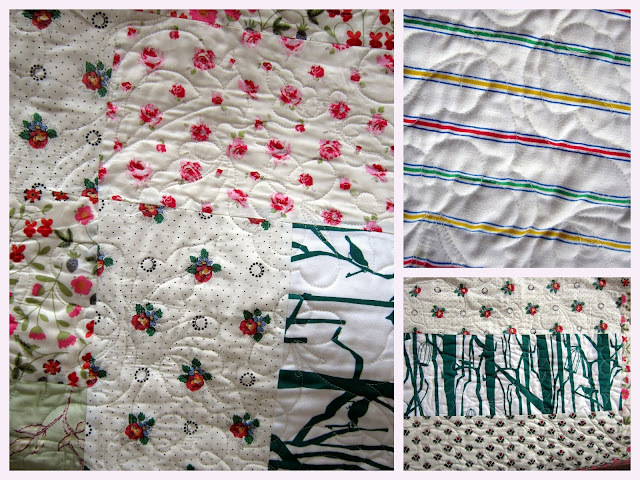 This weekend I'm getting my 'chamomile' quilt top ready to send away. It's quite a big quilt, and the light airy feel with all that white space seems perfect for just a little extra detail & texture . . . a little extra structured but loose quilting, which I can't acheive on my home machine. What I want to chat about today is what I've learnt by sending my quilts away to be quilted. I tend to sew quickly, and as a result I know I am a maker of perfectly imperfect quilts. I don't make quilts to show or be judged, and I find it a bit daunting to have one's work closely scrutinised by someone else. Each quilter has personal preferences of course, but I have found my quilter's feedback to be so rewarding for my development as a quilter. For the most part, I'm self taught in the processes of quilting. I did attend a group many years ago, which was held in the garage of an old lady in Christchurch. She gave us lots of encouragement, shared her patterns, but didn't really explain the simple sewing basics. I have of course picked up heaps of info over the years, but also enjoy the charm of imperfection. I now take my time pressing my seams carefully, throughout the whole quilt making process. I've found pressing makes for much better progress photo shoots too. And today, I spent a lot of time triming away all my loose threads. I found with my 'Chamomile' quilt that the cream/white solid frays constantly, which I know will still be a pain for Leeanne from quiltmekiwi, but she knows I've done my best. Ensuring my borders are on straight still is a bit hit & miss for me, you know, even though I measure twice, cut once, and sew with my glasses on, carefully using the 1/4" thingy on my machine foot as my guide, it still doesn't always work out right. And I know it's so worth it trying to get the whole quilt top straight, but this is another problematical area for me too sometimes. Often a certain techniques can create a ‘springiness’ to the finished quilt, or sometimes a bulky ‘Dresden Plate’ makes things a little tricky, but I know Leeanne has a can of starch handy! So I've still got room for improvement. But I'm hoping it's nothing a bit of longarm quilting love can't camouflage. And on the topic of unfinished quilts, I was very encouraged to see many of the quilts featured in Roderick Kiracofe's book 'unconventional and unexpected' were in fact unfinished quilt tops! And they still looked amazing. I'd love to hear your thoughts on quilting too. 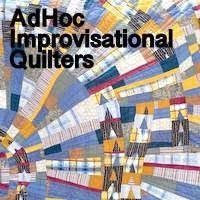 Do you handquilt your quilts? - mostly all beautifully hand quilted, and so inspiring. 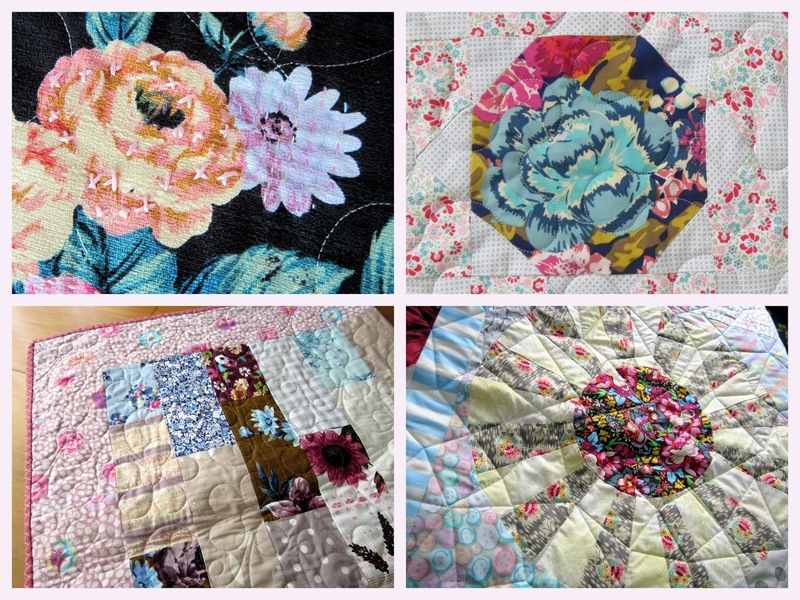 Do you love big stitch quilting? How do you feel about combining techniques?